Raymarine have announced four new dates – none for Ireland yet – for their successful radar training events. They do say if there was enough interest shown here they would be happy to host an Irish event. However, in the UK they've set four new dates for the autumn. The first courses will take place on the 30 and 31 October at Mylor Yacht Club in Falmouth, Cornwall. Alan Watson will once again be delivering the course with support from local Raymarine service agent, BT Marine. Further courses are also scheduled at The Royal Norfolk & Suffolk Yacht Club on the 13 and 14 November, and will be delivered by Norfolk Marine. 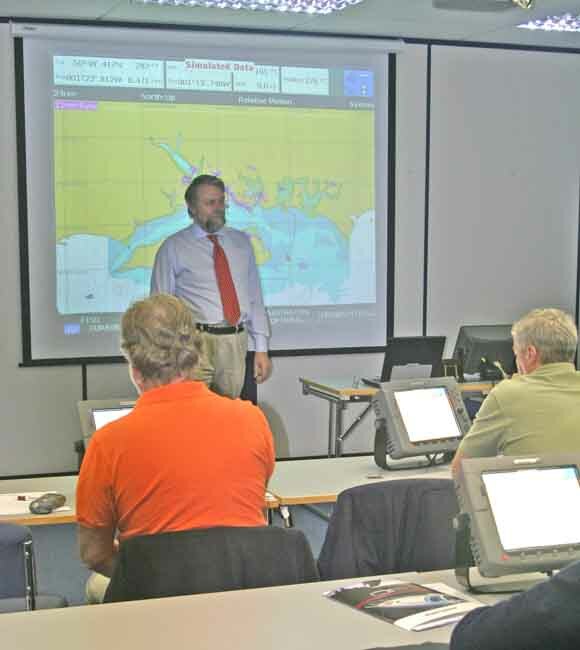 The courses focus on helping attendees gain a greater understanding of radar, with technical advice and demonstrations on how the Raymarine multifunction displays work with radar and AIS inputs. Understanding how to interpret images shown on screen will prove useful even for experienced radar users. With each delegate benefiting from the use of a Raymarine multifunction display this will ensure plenty of hands-on experience. The day-long course costs £85 + VAT per person which includes lunch as well as morning coffee and afternoon tea.